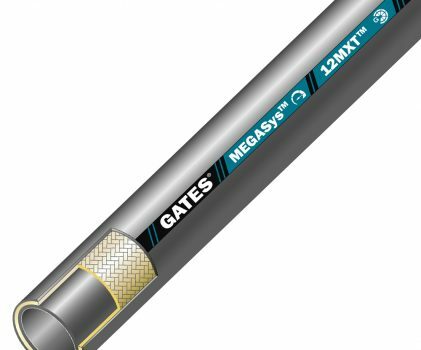 Gates MEGASys™ MXT™ has been designed by Gates to address customers evolving application challenges. It has been constructed using strong, high-performance reinforcement and high quality, abrasion-resistant rubber. 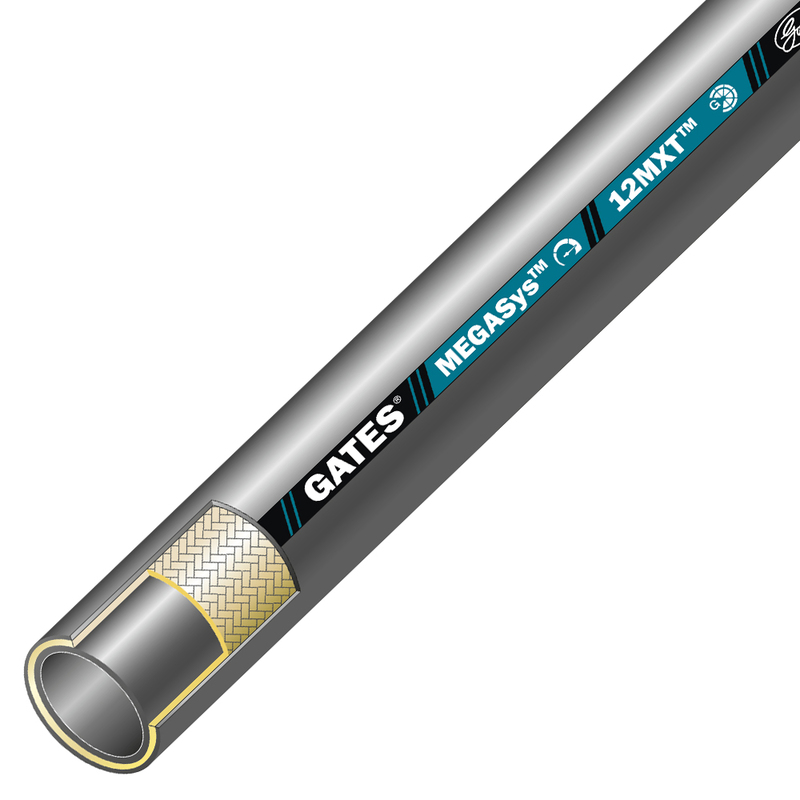 Creating a premium product that can offer performance well above normal industry standards. More flexible with lower force-to-bend for faster and more ergonomic installation. Lighter weight for easier handling. Compatible with MegaCrimp® Couplings and Gates crimpers. Available NOW to buy online and for more information please contact your nearest Kiowa branch.